Hello from NYC. I’m here attending the 3-day BlogWorld & New Media Expo thanks to the support of Latism or Latinos in Social Media, the largest organization of Latinos in Social Media in the U.S. This a conference for the “blogging and new media industry”. So far the experience has been very rewarding and eye-opening in some cases. I can tell you that this experience will definitely change the way I do blogs and social media. As a matter of fact, I decided to apply for this scholarship because I have planned important changes in my blogs. Here in New York I have met in person a few people who I knew online through their work, which is kind of ackward for no reason. For instance, last night I met several Latism bloggers and internet activists, at the Second New York Chapter Tweetup held at the local Univision TV headquarters. I interviewed some Latino bloggers and online activists. I will post the video this weekend. 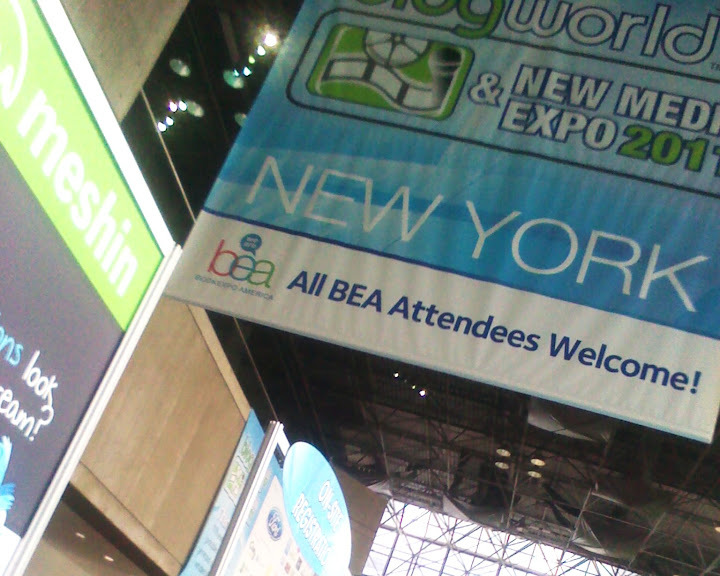 Here are some photos I took during the first day of Blog World & New Media Expo. Visit the Blog World Expo website.